Back in 2009 when the iPhone 3Gs came out, my Husband & I secured handsets on the day of release. Up to this point neither of us ever thought we would own an Apple product, let alone like it . At the time, there was very little in the way of Android handsets, and quite frankly it was still too new to consider playing with yet. iPhones had sucessfully been out for around 12 months and it was a smartphone we knew we could get user help with fairly easily (as most of my girlfriends are iUsers). So we entered into the world of the smartphone. True to form, twelve months later, Apple released the iPhone 4, and neither the Husband nor I saw any reason to try to ‘upgrade’ to it (although a few of my friends did). By this time we were looking at what Android now had to offer. The main contender at the time was HTC, but other companies were getting in on the action. We still didn’t see any benefit in trying to pay out our contracts to jump on a new phone, though. It wasn’t until we found out about a competition before Christmas that we ended up winning a smartphone handset each. 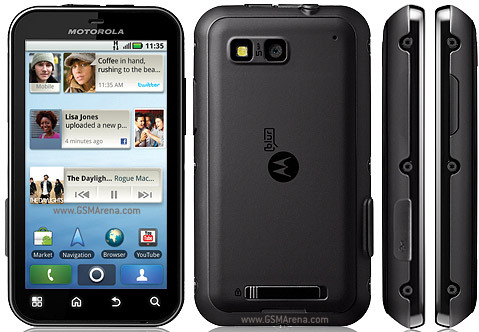 Our first foray into Android was on the Motorola DEFY. A handset that was released in January 2011, and was advertised to be ‘life proof’. This is because it was classified as a ‘rugged’ handset. With all it’s ports covered, it is ‘splash proof’, dust proof and scratch resistant. So far it’s been dropped, spilled on and generally not treated like delicate china and has survived beautifully. The bezel has a few dings and I think there’s one tiny nick in the corner of the glass, but considering what this puppy has been through, an iPhone 4 would not have survived. But handsets aside, why switch at all? Isn’t iOS a proven and stable environment? Aren’t the apps awesome? Don’t you get updates as soon as they’re released? Yes, yes and yes. But a big down side to using iOS for us is iTunes. We don’t like it, nor the fact that putting any media on the iPhone is dependant on it. The apps were good, however, the games are well made and (when used) the productivity tools were really helpful. Why do I prefer the Android OS? I like how customisable it is, if I don’t like the stock keyboard, I can download a new one (review coming soon), I can load themes to change the look of the icons and folders if I wan’t to have something fun looking. I like the ability to have widgets on my home screen(s). I LOVE that I don’t need any propriety software on my computer to upload media to it. The Market is not quite as mature (but it is catching up), but that doesn’t bother me so much. In fact, in a way, I like that there’s not so much stuff that I can pack my phone with… less distractions. My phone does everything I need it to, and it does it well! There are plenty of reasons to love and hate both iOS and Android, and it really comes down to personal preference. I don’t find the iOS environment to suit me, where I love what I can do with Android. It fits me better.